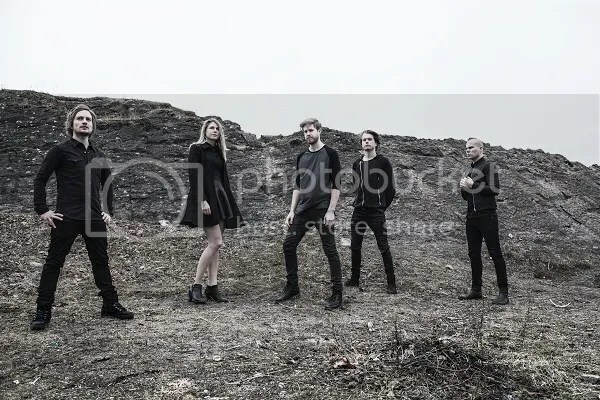 With a lineup consisting of Kjartan Grønhaug on guitars, René Misje on guitars and vocals, Frode Kilvik (AETERNUS, VITHR, GRAVDAL) on vocals and bass, and Ask Ty Arctander (KAMPFAR, HADES ALMIGHTY) on drums, Norwegian Post Metallers KRAKOW are widely regarded as one of Norway’s best live acts. Now, with their appearance at Bergen’s Blastfest on the horizon, the band have announced that their show, which is part of the Dark Essence Records label night at the festival, will be something special. Explaining what sets this show apart from their others, the band had this to say: “What is a KRAKOW show? It changes constantly, the fluctuations of the music dictating the here and now, each performance with its own set of sounds, patterns and emotions. So let’s add some new elements to the mix, see what comes out. “At Blastfest we will be a bigger band, more bodies and more sound. Our album producer, and some-time session drummer, Iver Sandøy will join on keys and drums. Cato Olaisen, who did such an amazing job drumming on ‘diin’ will join on drums, while Ask will move between drums and vocals. “The set will consist of only 4 songs, selected from our three full-length albums “Monolith”, “diin” and “Amaran”. One of the tracks has never been performed live before, while the remaining three will take on a shape never heard or felt before. They will be close to their true expression, but with new nuances and added shading, bending and distorting in ways that we ourselves will not know in advance. “Join us at Sardinen on Blastfest, 19. February 2016, at 19:10. Maybe it will be a testament etched onto a physical vessel for those who cannot be a part of the night”. Also appearing at the Dark Essence Records Label Night at Blastfest, which kicks off at 16:00 at Sardinen, are KRAKOW label-mates SULPHUR, SLEGEST, COR SCORPII and THE 3RD ATTEMPT.